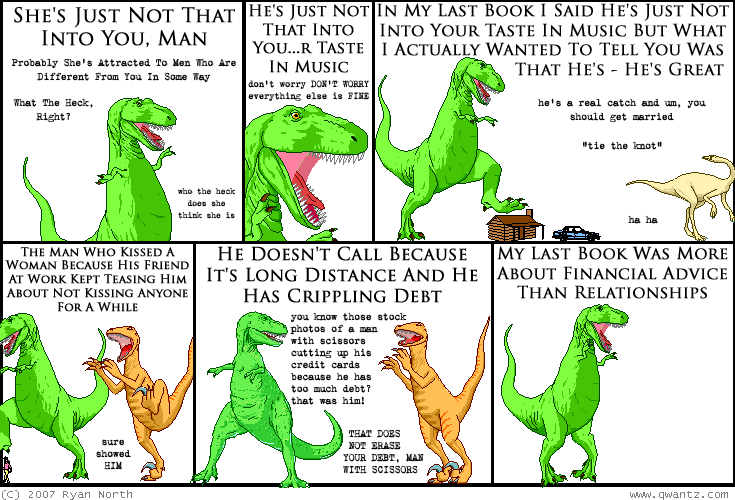 Dinosaur Comics - November 7th, 2007 - awesome fun times! –Semiconductor fab technique A + semiconductor fab technique B! November 7th, 2007: Hey, here's some great (and new!) comics I came across yesterday! We The Robots and Kate Beaton's Comics are both absolutely charming. Enjoy! One year ago today: i'm not the kind of guy who says 'hot and cold running chicks', but i'm the kind of guy who kind of wishes he was.